The Illinois Emergency Management Agency has conducted a statewide screening for indoor radon. 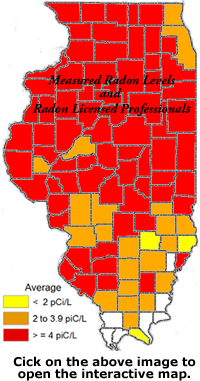 The primary purpose of the screening was to determine whether there are particular regions within Illinois which are more prone to radon than others. The measurement data includes calendar years 2003 – 2011.